Today, despite competition from multi-screen cinemas, home theaters and all forms of sporting events, there is still considerable interest in watching humans in live onstage performance, whether in drama, musicals, concerts, dance, opera — the list is nearly endless. And while stadium shows are less common these days, venues in the 500- to 3,000-capacity range seem to be doing well, especially as music artists that once appeared only in arenas are now turning to smaller, more intimate venues. 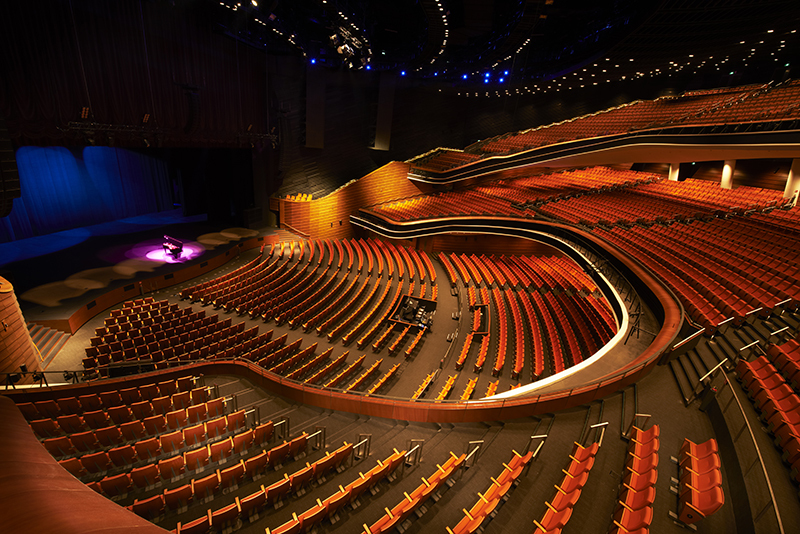 Meanwhile, technology upgrades in theater and performing arts spaces continue at an accelerated pace, whether in converted environments, new construction and refurbishment of existing venues – from local venues to internationally known performance spaces such as the Star PAC in Singapore (pictured above). With that in mind, we present nine recent installation projects. The Colonial Theatre, which opened in 1900 with a production of Ben-Hur, is the oldest continuously operated theater in Boston. Located on the Emerson College campus, it was also one of the most magnificent, having retained most of its original period details. Over the decades, the venue debuted classic Broadway shows as Anything Goes, Porgy and Bess, Oklahoma!, Born Yesterday, Follies, A Little Night Music, Grand Hotel, La Cage aux Folles and Seussical — among others. Although the venue closed in 2015 and its future looked uncertain, it wasn’t dormant for long. By early 2017, the Ambassador Theatre Group (ATG), which owns and operates nearly 50 venues worldwide, signed a 40-year lease with Emerson College to operate theater. ATG also invested millions of dollars in a major renovation project. In July 2018, the Emerson Colonial Theatre officially re-opened with the pre-Broadway world premiere of Moulin Rouge! The Musical. The main P.A. consists of 14 d&b V-Series dual-10-inch, 3-way line array cabinets per side and a monoblock of eight cardioid V-SUBs flown in the center and four V-SUBs on the floor — two on either side of the stage, for some extra thump down on the lower level. Bremen Theatre, which dates back to 1913, was updated with Coda TiRAY line arrays. 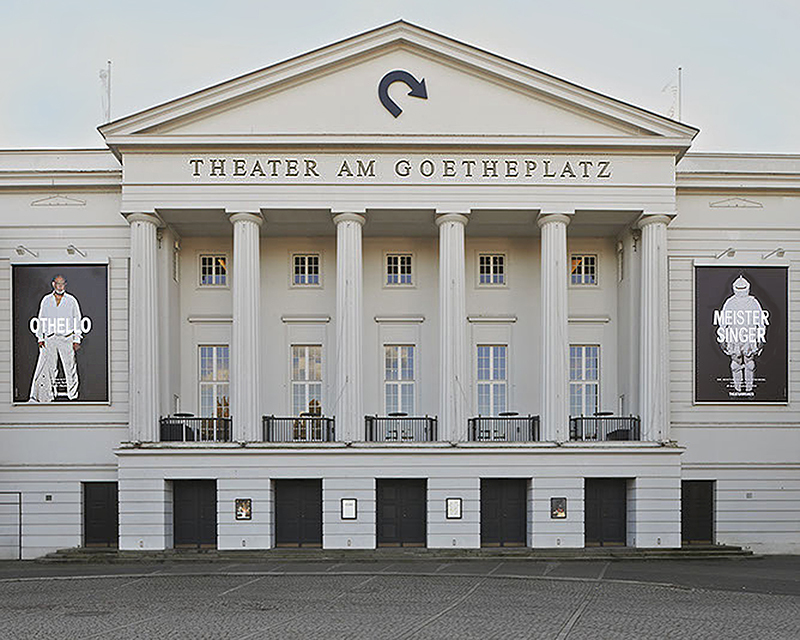 The neoclassical style Theater am Goetheplatz is the main theater in Bremen, located in northwest Germany. Commonly known as The Bremen Theatre and dating back to 1913, this listed building today presents a varied program of musicals, opera, drama, readings and more. With seating for around 800, the theater is an important cultural hub and is well-known throughout the country for its role in premiering new works. Introductions to plays, audience discussions after performances and a series of talks that directly engage with the public are also features of this busy and progressive venue. 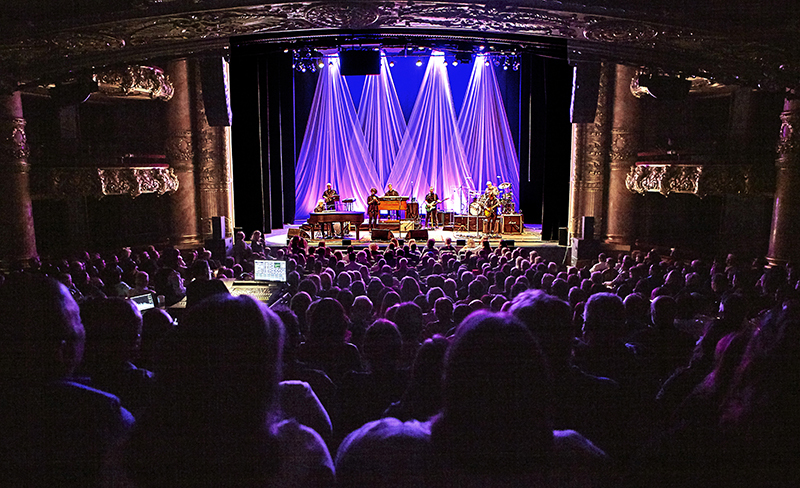 This varied program of events demands exceptional audio quality for every performance, and this year, the theater’s management decided to upgrade its sound system. 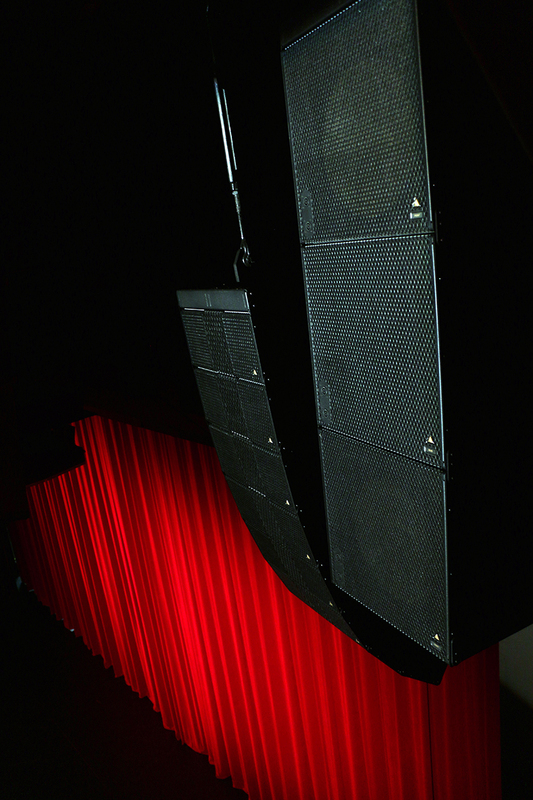 After consulting with Coda Audio Deutschland, the Bremen Theatre chose to install a system based around Coda Audio’s TiRAY line-arrays. The installation is comprised of 24 TiRAY (12/side) complemented by six SCV-F subwoofers and five HOPS5 used as front fills. Powering is via four Linus M-Rack (Linus14D amplifiers in 3U case). Hooked up to two DiGiCo consoles for advanced zoning and signal distribution, the audio is transported to the Linus14D via Dante. TiRAY is a compact, super-light system that delivers a greater punch than many more sizeable equivalents. The HOPS5 has a similarly impressive output to size ratio, with high-fidelity sonics and plenty of kick. In a medium-size setting such as the Bremen Theatre, TiRAY is visually discreet, yet comfortably powerful enough to cope with the demands of any production. The Baycourt Addison Theatre installed Adamson IS7 and IS118 arrays. 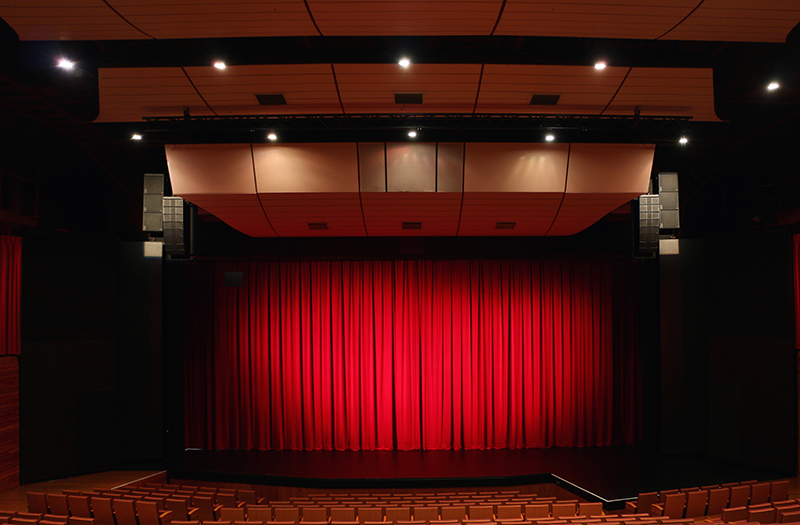 When administrators at the Baycourt Community and Arts Centre in Tauranga, New Zealand decided to replace the sound system at the Addison Theatre, they initiated a rigorous selection process. Following a formal shootout of four leading brands, the install-focused IS-Series from Adamson Systems Engineering was chosen as the ideal solution. 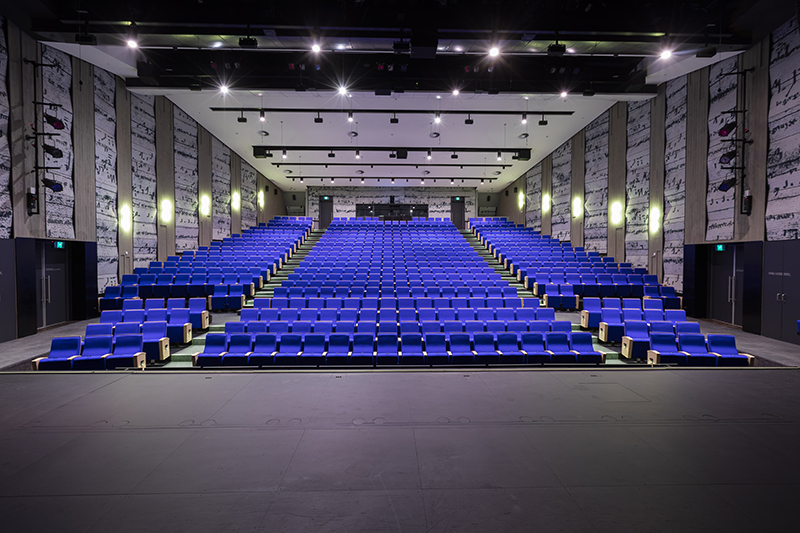 The theater features tiered seating for 582 patrons and an expansive stage measuring 46 by 36 feet (WxD). In its 35-year history, it has hosted a diverse range of local, national and international performers from myriad disciplines in the arts. The venue’s evaluation process — which Hughes calls “comprehensive and impressive” — began with 13 proposals, which were then narrowed down to four leading brands. From there, all four supplied one side of the proposed P.A. system and the arrays were flown in the venue simultaneously, demonstrated for a panel of judges, and ranked on a number of criteria. Sourced via Direct Imports, Adamson’s exclusive distributor in New Zealand, the system is comprised of left/right arrays of eight IS7 two-way, full-range cabinets per side alongside three flown IS118 subwoofers per side in a front-back-front cardioid configuration. The IS7 arrays needed to be above the proscenium’s chaser lights to ensure unhindered sightlines from every seat, while allowing the rotatable wing panels to work unhindered and minimizing the energy hitting the backs of the acoustic reflectors. The sub arrays are flown alongside the IS7s but slightly higher to avoid the rotating wing wall. Intec made extensive use of Adamson’s Blueprint AV simulation software during the design process. “The tender requested EASE simulations; however, Blueprint is an excellent and more flexible tool for adjusting angles and monitoring results,” notes Hughes. The solution impressed Baycourt’s administrators, patrons and visiting productions for the same reasons it won the initial shootout. Adamson Systems IS-Series speakers and subs. The setup includes L-R arrays of eight IS7 and three flown IS118 subs. The busy venue, which hosts as many as a dozen shows a week, installed RCF HDL30 line arrays between performances. 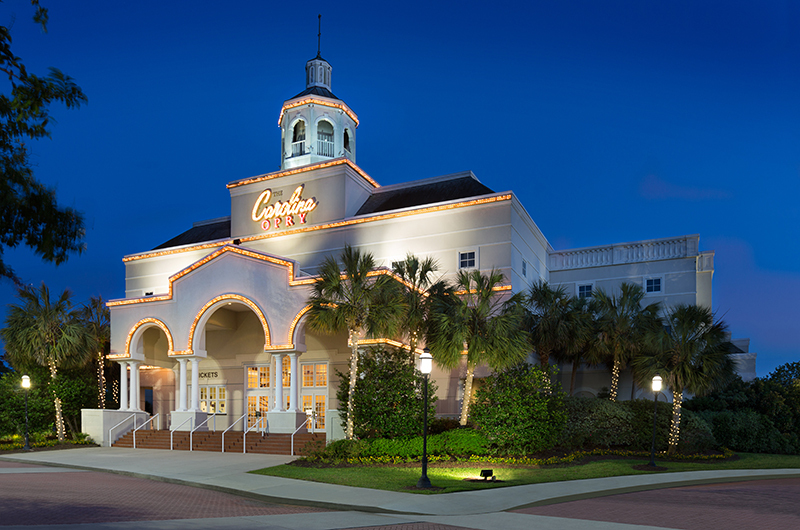 Tourists heading into Myrtle Beach can’t miss the majestic Carolina Opry, located along the major routes paralleling the resort city’s wide stretch of ocean beachfront known as the Grand Strand. Its origin dates back to 1986, when a country music singer/songwriter migrated from Nashville to bring a new sound to the beachfront, as Calvin Gilmore opened a modest 1,000-seat theater in Surfside Beach. Soon, the shows were constantly selling out. So he started a second show in North Myrtle Beach. Those sold out, too. By 1993, Gilmore merged the two shows into one when he built the 2,200-seat Carolina Opry. The grand lobby features 40-foot ceilings, crystal chandeliers, grand piano, historical memorabilia and staircases curving upward to the balcony. Having owned a sound company, Cook was familiar with RCF. “I owned a HDL20 rig, and I would have to bring it in when we were doing national acts such as Kansas, Bill Gaither, America and others.” Those shows required more energy than the Opry’s usual family-oriented theatrical productions. Once RCF introduced the HDL30 line array system, “it was a no brainer,” says Cook. “RDNet control (RCF’s proprietary monitoring and control software) lets me run the system from the booth with the ability to grab and do what we want on the fly as needed.” This comes in handy as shows range from the magic and illusion show Pure Magic to the dance and laser Thunder and Light to the contemporary Time Warp. 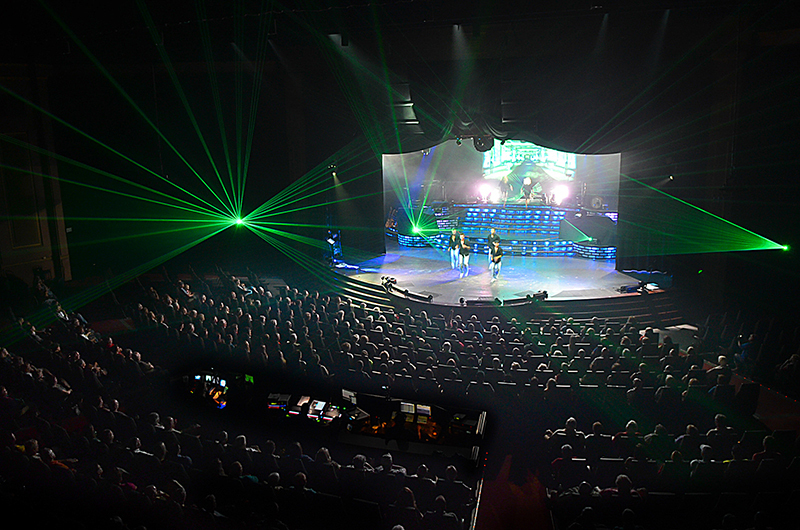 RCF rigging and hardware helped streamline the installation between performances. Evolutionary Arts Hackney (EartH), London, U.K. The first European live music venue installation of an L-Acoustics L-ISA Immersive Hyperreal Sound technology system is in Evolutionary Arts Hackney (EartH), an exciting new cultural venue that opened in September, 2018 in Dalston in the heart of East London. 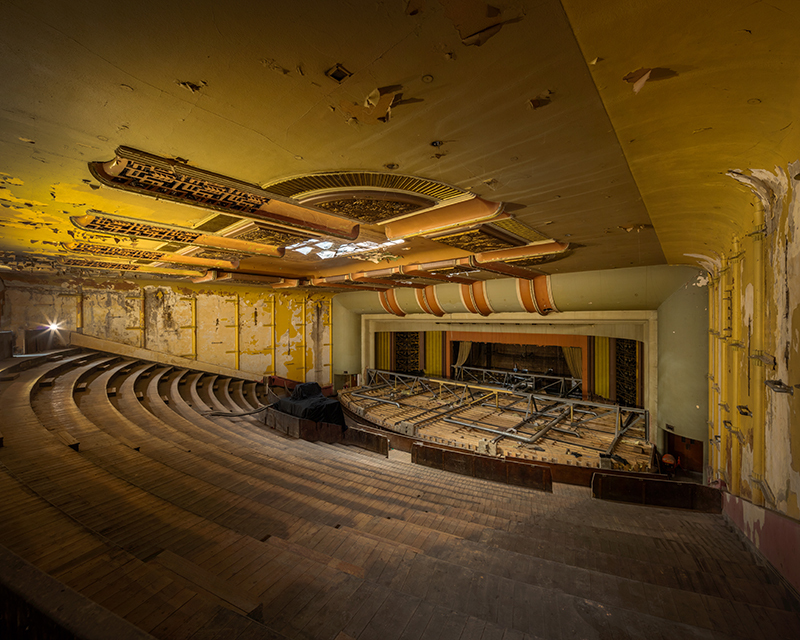 The same team behind Village Underground, the Shoreditch venue founded by Auro Foxcroft and known for its experimental and innovative performance and art, were the ones who worked to open EartH, and in the process restore an Art Deco cinema that had been laying derelict for close to 40 years. Built on the belief that art brings change, progress and transformation, EartH spans numerous art forms and a multitude of genres — live music, performance art, talks and debates, comedy and film. EartH is partly funded through the social investment community in support of the project’s ambitious arts and social impact work. This multi-functional venue made up of three main areas: The Theatre, which provides a huge sense of scale; a separate Concert Hall; and a new restaurant/social space. 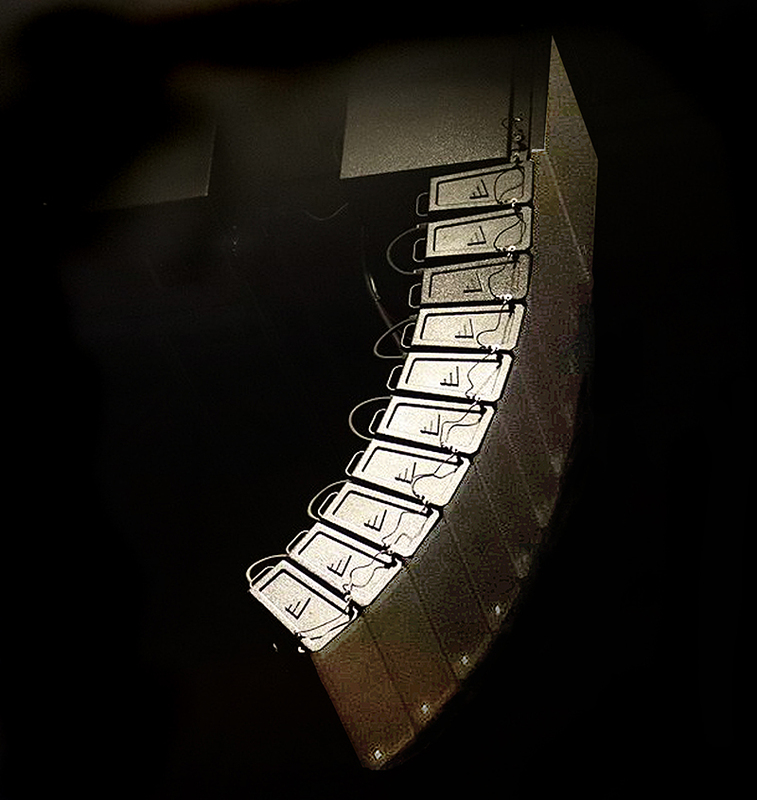 Designed to offer audiences enhanced clarity, more natural sound and a wider sound panorama, the L-ISA setup comprises a frontal system of five hangs; each with seven Kara flown equidistantly across the front of the stage, with a central sub system of four KS28 flown in end-fire configuration in front and above the central Kara hang. Positioned along the stage lip, ten X8 provide front fill. The surround system is provided by 12 Syva, four/side, evenly spaced and mounted along the venue’s left, right and rear walls. An overhead system employs eight X8 hung from the auditorium ceiling. 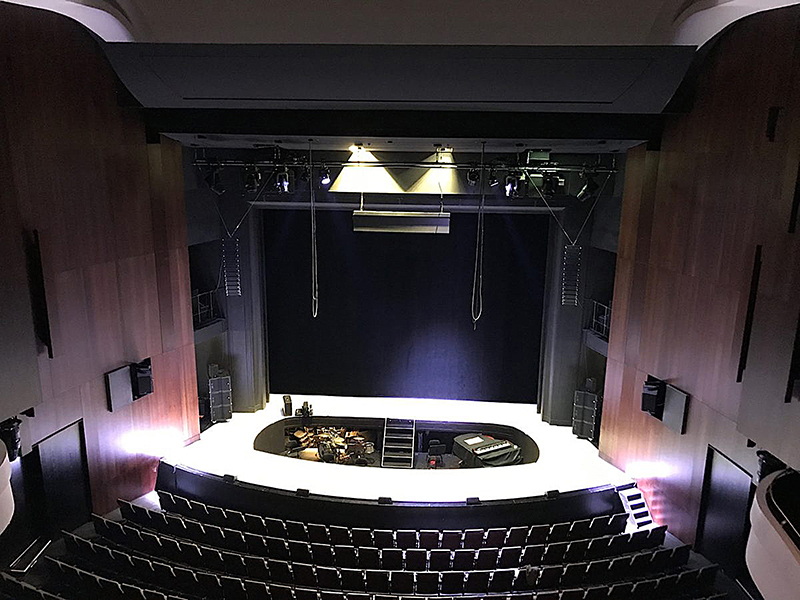 As the technology centerpiece of a renovation project, a Meyer Sound Constellation acoustic system was installed in the 561-seat Alexander Theatre at Monash University in Melbourne, Australia. Originally built for dramatic spoken word presentation, the Alexander Theatre can now host the full spectrum of acoustic music performances and — with a complementary Leopard line array — all genres of amplified performances. 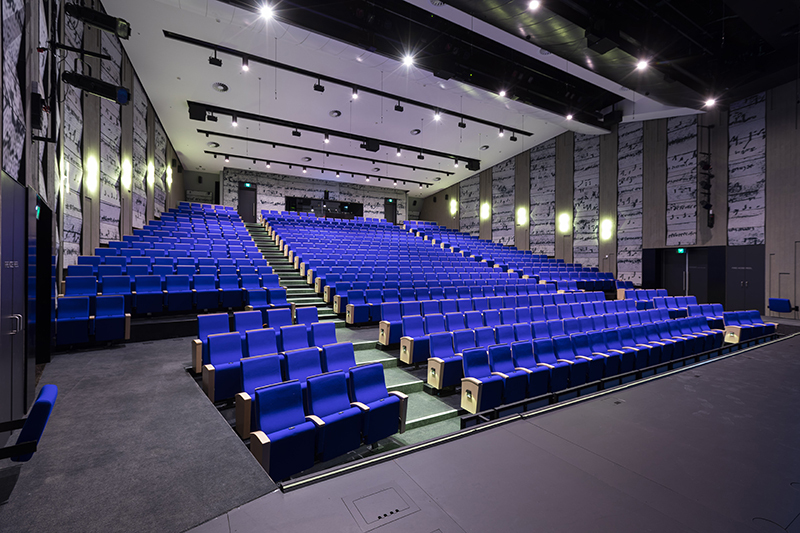 The Constellation system is the first in a dedicated performing arts venue in Australia. Paul Grabowsky, executive director of the university’s Academy of Performing Arts, who is also a noted pianist and composer, began the move to renovate and repurpose the 50-year-old auditorium. University administrators engaged the international consulting firm Arup to evaluate possible solutions. The Constellation system install in the Alexander Theatre comprises three elements: sensing of the ambient acoustics, high-resolution digital processing using the patented VRAS acoustical algorithm and distribution of early reflections and reverberant signals using more than 150 speakers. For ambient sensing, 16 compact cardioid mics are placed on stage with another 16 in the auditorium and eight omni boundary mics in the orchestra pit. The processing is accomplished by a Meyer D-Mitri digital audio platform with 18 modules for input and output, core processing, and creation of the acoustic presets. The loudspeaker complement includes 133 full-range Meyer systems (MM-4XP, UPM-1XP, UP-4XP, and UPJunior-XP) along with 19 compact UMS-1XPSM and MM-10XP subs. As all Constellation speakers are self-powered and receive dedicated, discrete input signals from D-Mitri, the hardware component also provides a dynamic, immersive sound environment with Meyer Sound’s SpaceMap 3D panning software. Using SpaceMap with the Constellation infrastructure allows dynamic movement of multiple sounds in three dimensions throughout the auditorium. To support amplified concerts, the theater offers a direct reinforcement system anchored by 12 Leopard compact line arrays, six 900-LFC subs and eight MM-4XP miniature speakers for front fill. The house console is a DiGiCo SD9. The system includes 133 full-range Meyer systems (MM-4XP, UPM-1XP, UP-4XP, and UPJunior-XP) and 19 compact UMS-1XPSM and MM-10XP subs. Harvest House technical director Brett Queen (left), with Buck Roberts (right) of Selah Media Productions. Established in 1977, Harvest House Church of Boone, NC is dedicated to experiencing God through the performing arts. 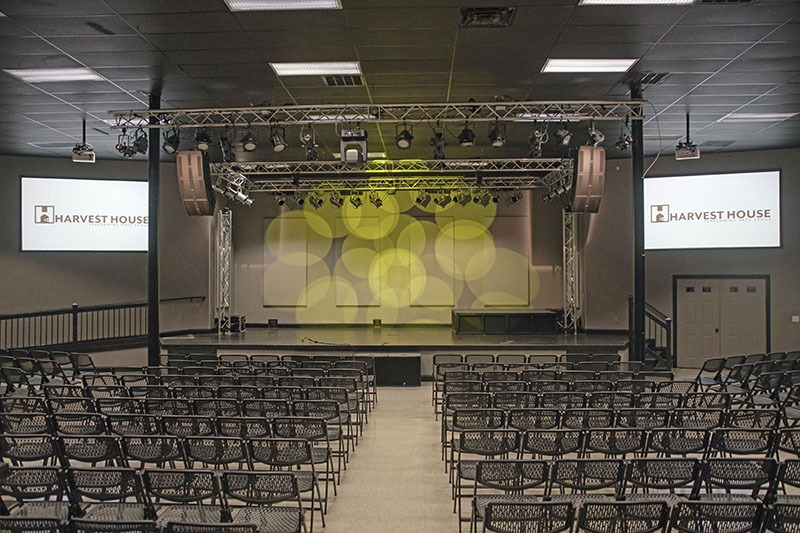 In 2008, church management transformed the facility into a performing arts venue that includes a recording studio, dance studio, art studio and venue. 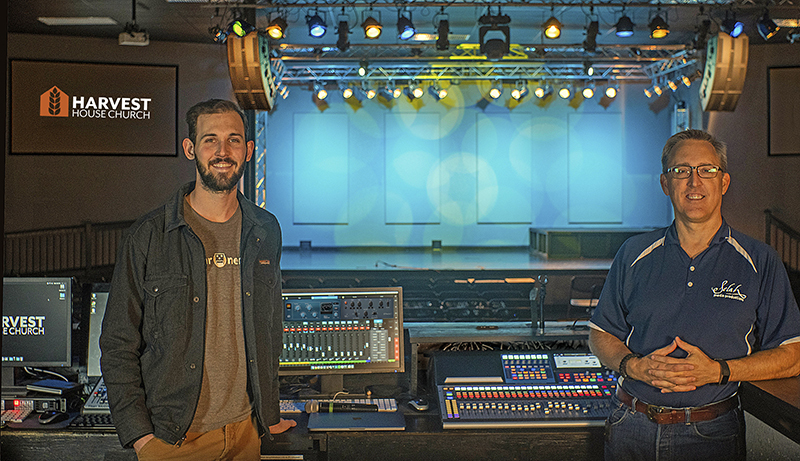 Recently, North Carolina-based Selah Media Productions (SMP) upgraded Harvest House’s sound system with an all-PreSonus system. 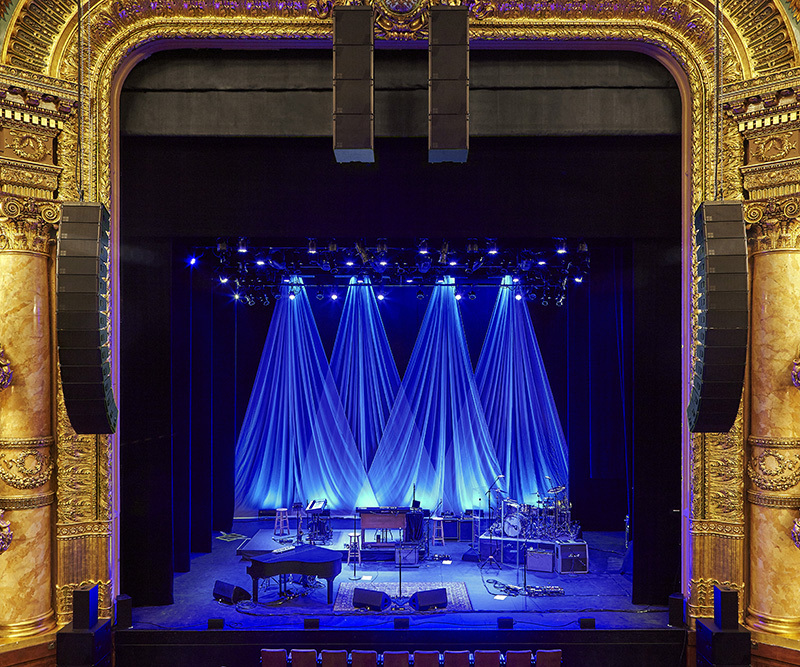 The new loudspeaker setup includes six PreSonus CDL12 constant directivity loudspeakers, with three enclosures each flown for the left and right sides of the stage area. The CDL12 combines the advantages of point source and line array technology into a unique design, radiating a highly focused pattern with consistent SPL throughout the frequency response range, both on- and off-axis. LF is handled by four PreSonus ULT18 active subwoofers, with two per side, positioned on the floor. Six PreSonus EarMix 16M AVB-networked personal monitor mixers are deployed for stage monitoring, along with two PreSonus AIR10 active speakers used as needed for floor monitors. An NSB 8.8 AVB-networked stage box provides additional I/O. At FOH, the PreSonus StudioLive 32 40-input digital console/recorder handles mixing responsibilities. This is augmented by a StudioLive 32R rackmount mixer configured for use in stage box mode. A PreSonus SW5E AVB switch handles the system’s network configuration, thus interconnecting the StudioLive 32 digital mixer, the StudioLive 32R rackmount mixer (configured for stage box use), plus the EarMix 16M monitor mixers. Roberts says the new sound system is a huge success. “The feedback from the staff has been overwhelmingly positive,” he notes. Technical director Brett Queen added that the “audio is crystal clear, and every seat sounds the same.” And so far, musicians love the monitoring system and its ability to give each performer stereo in-ear mixes. Similarly, the venue manager reports this new setup gives them the ability to boost the number of events that get booked. Calvin Performing Arts Theater combines both performing arts and worship services. Situated on the 25-acre campus of the Calvin Christian School, the new 10,000 square-foot Calvin Performing Arts Theater was designed to support large-scale play productions, live music and worship services. 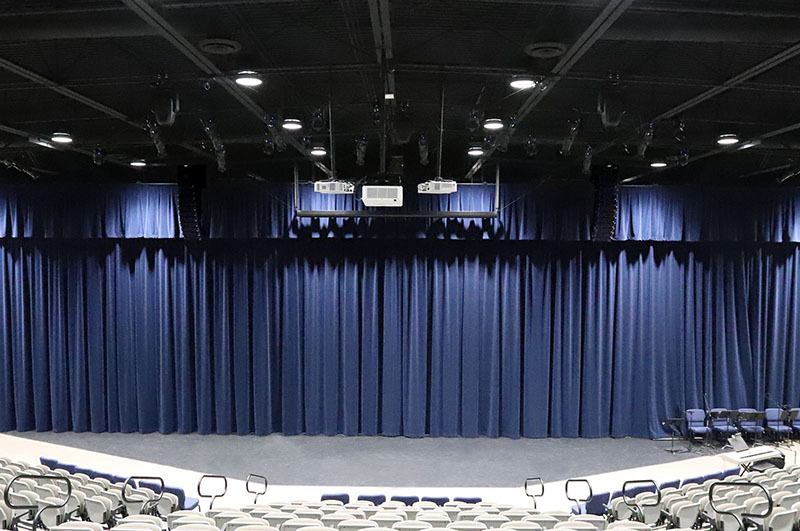 Fallbrook, CA’s Quiet Voice Audio (QVA) was selected to handle system design and installation, while San Diego Stage and Lighting provided acoustic consultation and treatment. QVA’s final design includes 10-element VUE al-4 arrays at the left and right of the main stage. A pair of VUE al-4SB Flyable Subwoofers are integrated into the top of each array in an end-fire configuration for maximum impact. All power and processing for the arrays and subs are via four VUEDrive V4 Systems Engines. A single VUE h-12W high-definition full-range system with onboard VUEDrive electronics provides center fill. Following the successful completion of several plays, live music performances and campus-wide public addresses, feedback from students, parents and faculty have been equally high. “It’s literally been one compliment after another,” concludes Bart. The stage left hang with 10 VUE al-4 elements. Eight Riedel Bolero antennas ensure coverage for the main auditorium and a smaller multi-purpose hall at the Star Performing Arts Center. 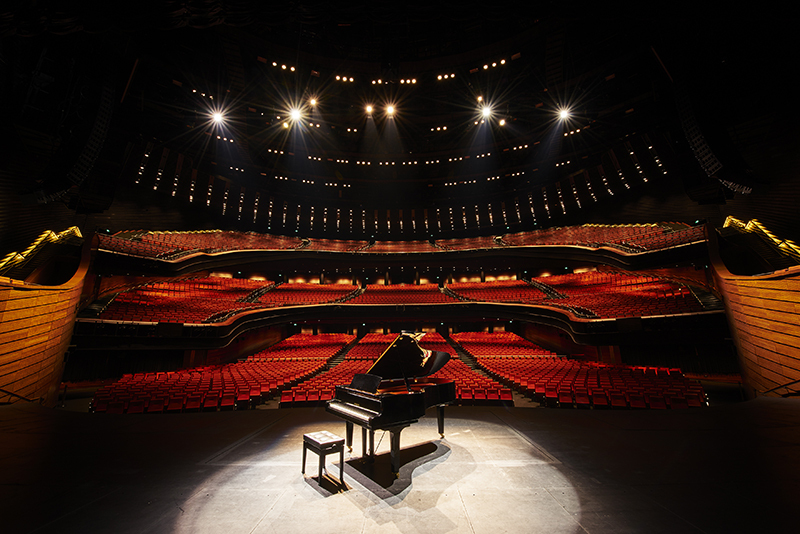 The Star Performing Arts Center (Star PAC) is a renowned 5,000-seat auditorium/theater (with function halls and a broadcast center) in Singapore. Recently, the venue sought to replace a legacy wireless intercom that could only integrate to its Riedel Artist system via analog four-wire connections. After evaluating several systems, the staff at Star PAC selected Riedel’s new Bolero wireless intercoms. Besides offering straightforward integration, Bolero’s flexible programming capabilities, using Artist Director software can be programmed quickly and easily via a drag-and-drop interface. In addition, Bolero’s modern codec and efficient use of bandwidth means The system also supports up to 10 beltpacks per AES67-networked antenna, for wide coverage with excellent sound quality. Eight Bolero antennas ensure coverage for the entire building, including the main auditorium and a smaller multi-purpose hall. Antennas are connected to three stacked AES67 switches (which perform as a single switch) that link to the Artist mainframes. In addition, a fiber-to-Cat-6 extender lets The Star PAC team deploy a ninth antenna to cover distant meeting rooms, The Star Loft, and the outdoor Star Terrace amphitheater, when required.